Motor Town: Soul of the Machine was available as a giveaway on August 26, 2018! 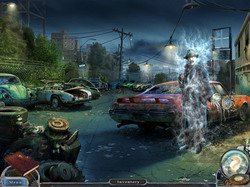 How would you improve Motor Town: Soul of the Machine? 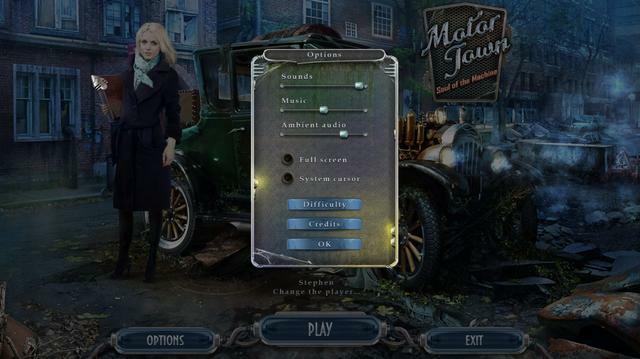 To get a feel for today's game before you download it, please check out the following game play videos of Motor Town: Soul of the Machine (Spoiler alert, walkthroughs)HERE, HERE, HERE, HERE, HERE, and HERE. 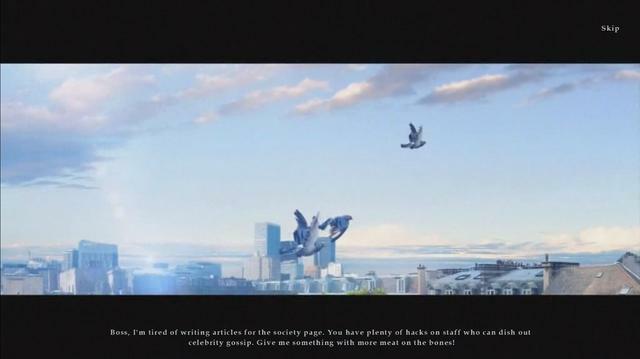 You can also other videos and walkthroughs in the ‘Other Reviews and Videos’ section below. 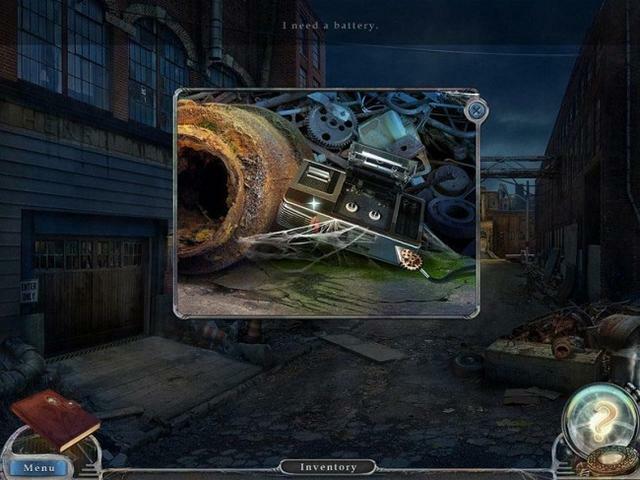 Help an ambitious journalist conduct her own investigation in a fascinating game Motor Town: Soul of the Machine! The main character is eager to write a sensational article, so when she gets a task to interview a genius inventor Paul Camping, she is more than delighted. But everything turns out not the way she expected. Paul Camping was confirmed that cars had souls and invented his gadgets basing on this theory. 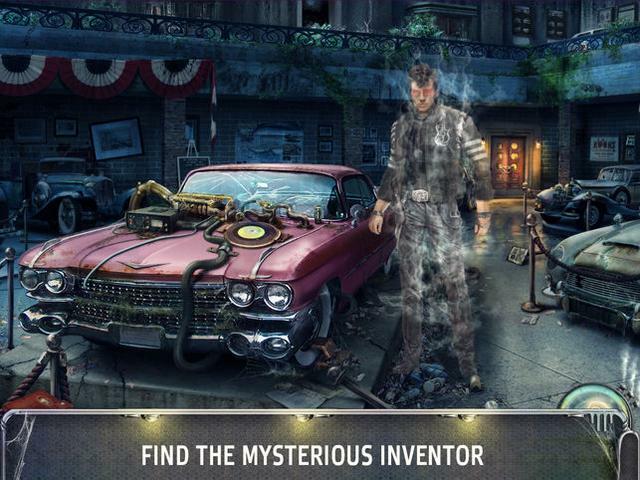 The inventor has mysteriously disappeared, and someone has tried to destroy all the documents. Is the old man still alive? Why hasn't he spoken to anyone for ages? Are these ghosts that appear in front of you from time to time or is it just an optical illusion? 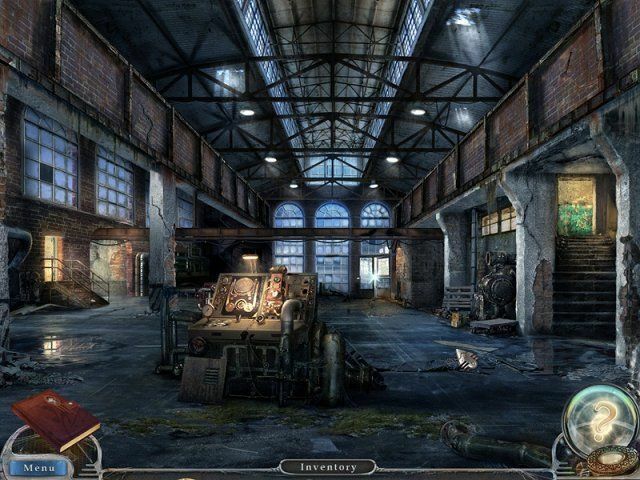 Try to answer all these questions by finding hidden objects and solving tricky puzzles in a stunning game Motor Town: Soul of the Machine! 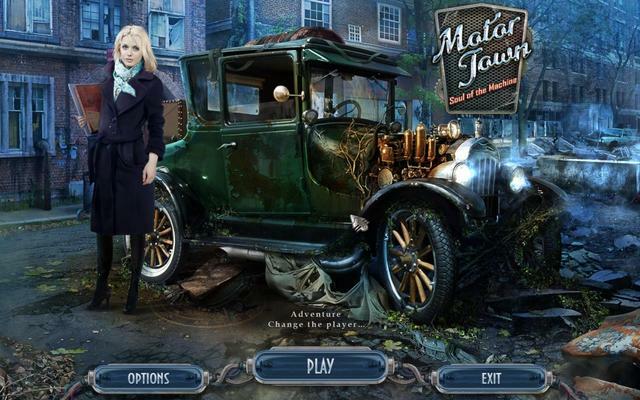 In Motor Town: Soul of the Machine, you step into the role of a New York City reporter seeking her big break by way of an interview with a brilliant but reclusive inventor of some of the world’s first automobiles. But he doesn’t just make cars; he believes that cars, like people, have souls, and while the reasons for, or significance of, that belief is never explored, the fact that he’s such a weirdo apparently makes him a worthwhile subject. 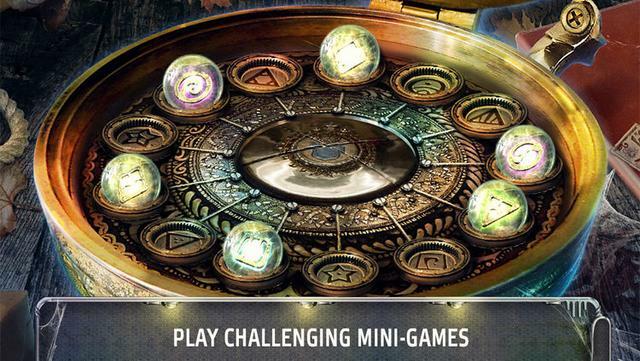 It’s a perfectly competent hidden object adventure, but really just not all that terribly interesting. 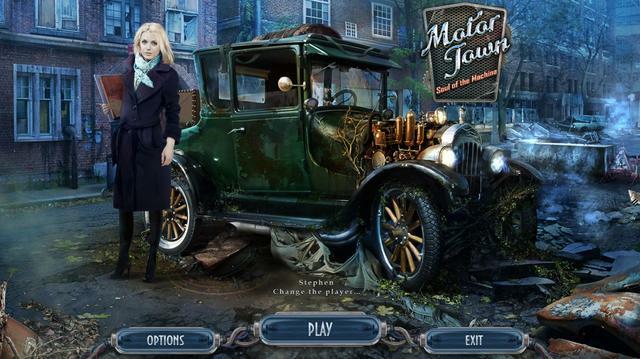 Motor Town has solid technical chops, with attractive, hand-drawn visuals, a smattering of animations, a decent soundtrack and even some voice acting, and there are plenty of hidden object scenes and a nice variety of mini-games, too. 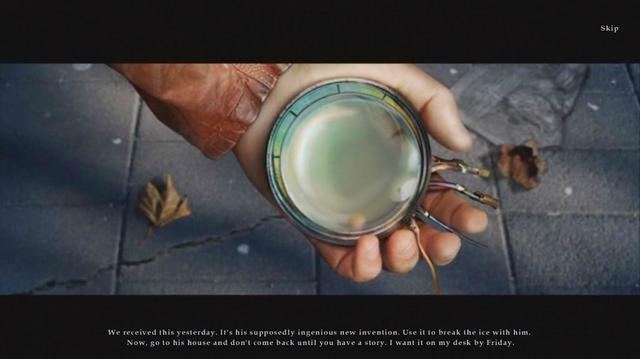 A journal automatically keeps track of all the notes and hints you’ll run across as you play, and the hint function will not only reveal hard-to-find items but also point you toward the next step in your journey if you should happen to lose track of what you’re doing. Even the basics of the plot will likely have a familiar ring to veterans of the genre: A genius of somewhat advanced years finds his benevolent, world-changing invention in the hands of supernatural ill-doers, and only you can rescue him and save the day. It’s a sprawling game but linear, with most of the information and puzzle pieces needed to solve a challenge located reasonably nearby. You’ll do a good bit of running around but it’s almost always contained within a relatively small area, so you won’t be making long trips back and forth from one end of the map to the other. 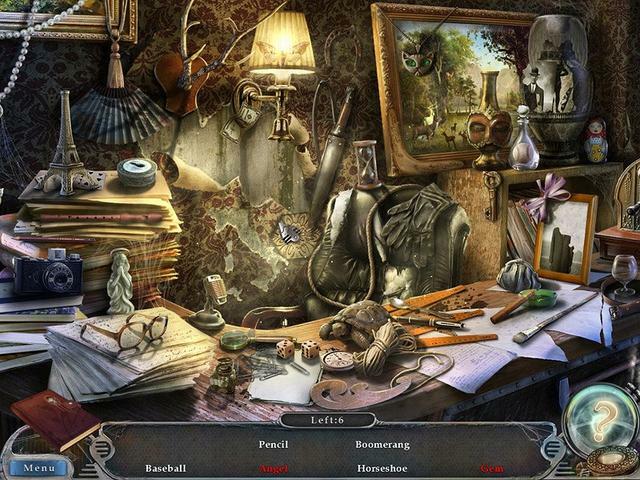 The hidden object scenes are well-rendered but, multi-part objects notwithstanding, very conventional, and the mini-games themselves are skippable but generally so easy that you shouldn’t have to, especially if you remember to reference your journal if you do happen to end up stumped. 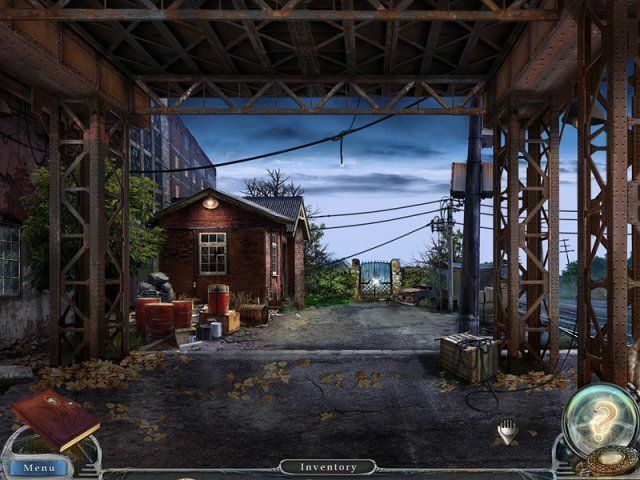 The trouble with Motor Town is that while it hits most of the points on the hidden object adventure checklist, it’s such a by-the-numbers experience that it quickly falls prey to the dullness of routine. Everything about it feels half-hearted and rote, as if it’s there simply because it’s a staple of the genre, and the game adds absolutely nothing of its own to the formula. The supernatural elements, the kindly grandfather figure who’s been duped by a ridiculously-named villain with a goatee and an overcoat, the diabolical plot that presumably threatens the world; all of these story elements are present without even the most cursory of explanations, and it ultimately ends up swirling together in a senseless, uninteresting morass. 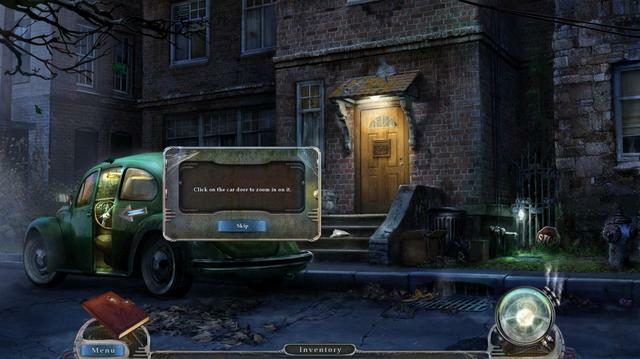 Even the world in which Motor Town is set seems schizophrenic. The subject of your interview created several early automobiles and launched one of the first automobile factories in the world before withdrawing from society, yet the streets are filled with cars ranging from the early 1900s to the late 1970s and early 80s. And while the idea of cars with souls is certainly interesting – interesting enough to catalyze your journey – its significance is never even hinted at, much less investigated. Motor Town: Soul of the Machine isn’t a bad game, and by some measures – visual fidelity, technical stability, hitting all the notes in the hidden object adventure theme song – it’s quite solid. 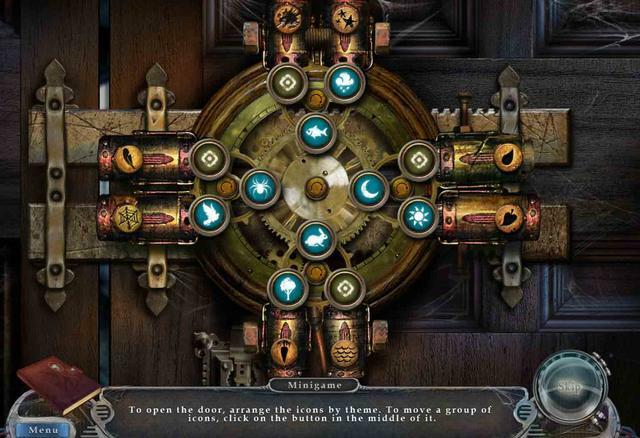 But it’s also utterly undistinguished in every possible way, lacking in imagination, coherence or anything else that makes a hidden object adventure more than just a digital picture-puzzle book. With so many other options on the market, those are problems that can’t, or at least shouldn’t, be easily overlooked. Edited reference accessed HERE. Originally posted by Andy Chalk on Feb 19, 2013. Edited and reposted by Whiterabbit-uk 26th August 2018. 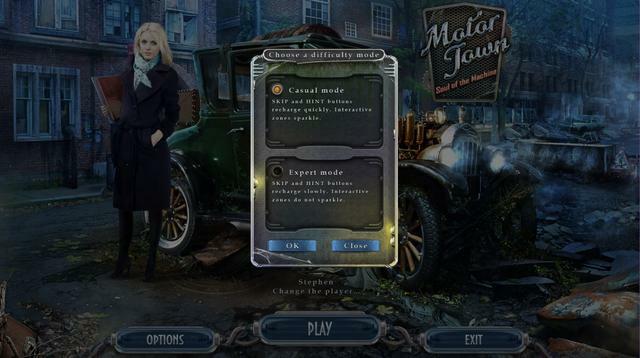 You can see community reviews of Motor Town: Soul of the Machine HERE and HERE, and you can see some videos of game play (Spoiler alert, walkthrough videos) HERE, HERE, HERE, HERE, HERE and HERE. 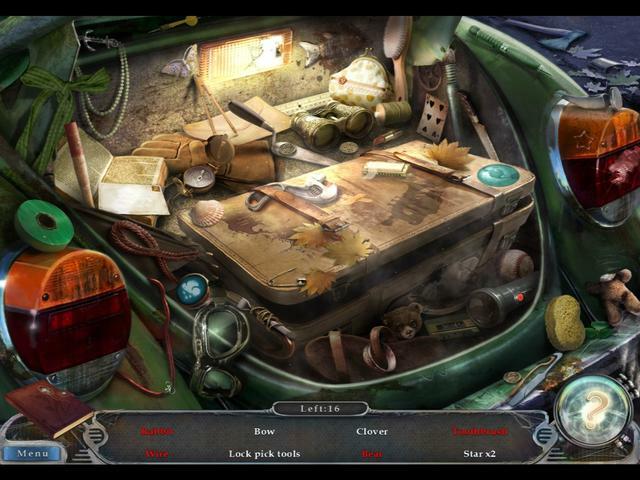 The game has decent visuals is technically solid and has a decent number of hidden object scenes and mini-games, however the game is uninspiring with bad voice acting. If you miss today's game giveaway you can always get the game via MyPlayCity 24/7 HERE; or, If you prefer to purchase the game you can get it directly from HERE via Big Fish Games. 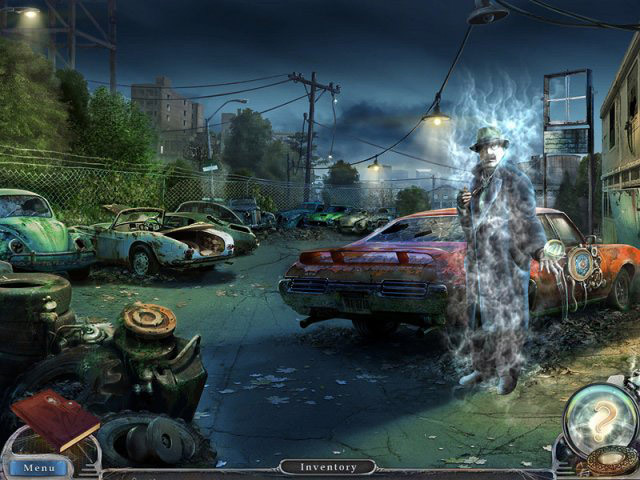 I'd like to take this opportunity to thank MyPlayCity for giving away Motor Town: Soul of the Machine with the toolbars etc removed and also to the game giveaway team, as always, for securing other ways to get free games. 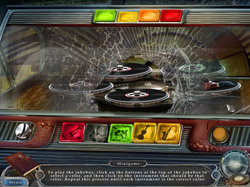 After you've had an opportunity to play Motor Town: Soul of the Machine please take a few moments to give some positive or negative feedback about the game; for example, what you liked or disliked, or how improvements could be made to make it more enjoyable and perhaps change your mind about this game? 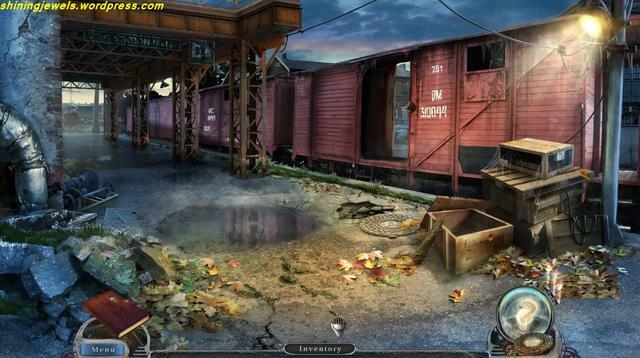 If you don't like Hidden Object games at all, please explain why? If you don't have time to post a comment today, please do so at your convenience. These comments will always be accessible for as long as this site is open and provide a valuable resource for game developers, thank you. To access the comments once the giveaway is over, open the game giveaway to its home page then scroll to the bottom of the page where it says Archives and select the date the giveaway was live (giveaway days are in bold type). This will open up the appropriate page for you to post your comment or review. I've updated the games section that used to be posted with the review. The thread is now called 'Weekly roundup of game deals', formerly the games section of the weekly reviews. You can find the new thread (which I've posted in the sticky section of the game discussion forums to make it easier to find if you are perusing the game discussion forums) HERE. Having problems installing today's game? If you have a problem installing or activating or getting Motor Town: Soul of the Machine to work please visit the problems section, which you can find in the FAQ's thread HERE. Also read through the community’s comments because sometimes fixes have already been posted. The main issue we have is with the giveaway wrapper, which uses a Themida based code to protect the games executable. Unfortunately, Themida is also used to hide malware; so, as a precaution, some security software may block the installation and sometimes even delete the executable file. Blocking or deletion is usually determined partly by the way your computer is set up. Usually you'll get a message saying ''the file is corrupted'', but, the files are okay. There are a couple of things you can do to overcome this issue. The first is to reboot in safe mode with networking, install the game then reboot, or secondly you can (at your own risk) temporarily turn off your security, install the game, then turn your security back on. A note of reassurance to those that choose the latter and quicker method. The game giveaway team have been giving away games for over a decade (Dec 2006 & prior to that, via the main site 2 or 3 times weekly from Oct 2006 to Dec 2006) and have 'NEVER' given away a game infected with malware; they always test every giveaway with several of the top anti-malware suites to ensure all games are free from malware. Downloaded quickly onto Win 10 64 bit PC. Unzipped with no problem. The game runs well, no hitches. Only fault is some items are a little hard to see. It would help if the graphics were a bit sharper as the items tend to fade too much into the background. If you have never played a HOG game before then you might find this one difficult. Downloaded quickly onto Win 10 64 bit PC. Unzipped with no problem. The game runs well, no hitches. Nice HOG game, really enjoying it, thank you very much :) Only fault is some items are a little hard to see. It would help if the graphics were a bit sharper as the items tend to fade too much into the background. If you have never played a HOG game before then you might find this one difficult. and says is done, but of course zip file was invalid and could not be opened. To GAOTD -- why isn't the server smart enough to recognize wasn't completed. Why isn't there a resume function??? To Hidden object game developers: 200 mb? Not every one has high speed internet or 1 TB drives. Each object doesn't have to be 10MB high Def image. Hate do have to decide what to get rid of in order to try your game. looked like good one and one I would have enjoyed. Been 3 hours. 215 mb is showing 30 min to DL. Got to 14%, 36%, 23% and says is done, but of course zip file was invalid and could not be opened. To GAOTD -- why isn't the server smart enough to recognize wasn't completed. Why isn't there a resume function??? To Hidden object game developers: 200 mb? Not every one has high speed internet or 1 TB drives. Each object doesn't have to be 10MB high Def image. Hate do have to decide what to get rid of in order to try your game. Thank you so much, GAOTD, and My Play City for all the great giveaways. We really love these games and we appreciate your hard work and generosity to bring them to us. Have an awesome week. I am finding this game to be pretty enjoyable. While it is not ground breaking, I think it is worth your time if you enjoy this genre. I especially liked the juke box. There have been a few puzzles that I wasn't sure what I was expected to do and solved them by trial and error, but none were too difficult. I'm playing on Win 10 64 bit with no issues. Thanks GGOTD and My Play City. Not my type of game, but I thought I'd let you know that Origin (EA) hs discontinued its free games. Too bad. You can keep the ones you already have, however. That's a pity. Still, I got quite a few of the older games thanks to their freebies. I was hoping they would give away the expansions the Battlefield 1942 and Battlefield Vietnam. I have them all on disk, but it would have been nice to have had them via Origin as well. My Battlefield Vietnam disk is really scratch, but I do use one of those No disk cracks so I can still play the game occasionally. Downloaded fine on Win 7 64 bit. Plays well, no glitches. 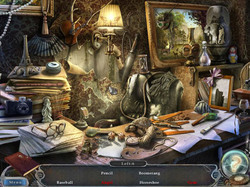 Graphics pretty nice.. A few of the hidden objects need a little ingenuity to figure them out, but you do have the hints. Not extremely hard. I am enjoying it . Thank you GOTD and My Play City. Runs OK on Windows 10 Home Edition 64 bit, put it into windowed mode and the text is readable most of the time. Conversational bits are not readable if you have trouble with small print. I also skipped several puzzles because I didn't understand their logic sometimes and it wasn't worth it to me to figure them out. I rather get on to the hidden object bits! Fairly decent HOG, I don't know if the reviewer was just jaundiced but I don't mind a HOG with muddled scripts, I enjoy having a bit of a story to go with looking for things and don't have a longing for anything more. It might not excite you, but it will keep you occupied. This game is recommended for stress relief. Just now downloading, but I wanted to say thanks for the direct download - without the need of social media share or taking a detour through email. Much appreciated!